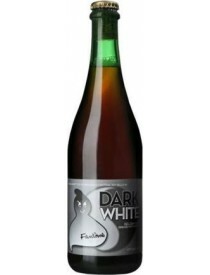 Vendita birre Fantome, shop online, prezzi - Grand Cru s.n.c. di Aprile Paolo &C.
The brewery occupies a modest stone farmhouse on the main road through the village of Soy in the Marche-en-Famenne district of Luxembourg provinceFounded in 1988, Brasserie Fantôme has gained international attention and a cult following among lovers of craft beers. Owned and run by Dany Prignon, Fantôme is known for its unique variations on the Saison style of farmhouse ale, often involving the use of herbs, spices or fruit juice. Within the craft beer community, Fantome saisons are considered highly desirable and have developed a significant audience in the United States and United Kingdom. 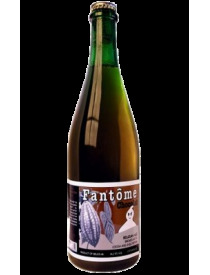 Ironically, while their complex, earthy, and herbal flavors have caused them to be sought out by connoisseurs outside Belgium, Fantôme's products are difficult to find and not well known in the country of their origin.The name of the brewery stems from a legend of the nearby town of La Roche-en-Ardenne, which asserts that the ghost of the long-dead Countess Berthe de La Roche can still be seen walking amidst the ruins of the town's castle.There is a small bar adjacent to the brewery that is primarily open on weekends and for special occasions. Tours of the facility can be arranged by reservation as well. 5 percent alcohol beer made with black pepper with respect to the Burgundian Babble Belt. Birra in stile Saison realizzata con aggiunta di polvere di cacao e peperoncino durante la produzione. Dal colore ambrato, al naso l'aroma è caratterizzato da note di cacao e malto. Al palato, le note amare del luppolo sono protagoniste della bevuta, secca ed asciutta.